Since it's a Jeep, you'd rightfully expect class-leading off-road capabilities, but the available luxuries take this SUV a step higher than the competitors. Now that you've had a look at what it has to offer, let us show it to you from the best seat in the house: the driver's. 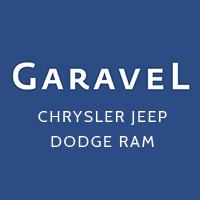 Contact Garavel CJDR today to learn more or schedule your test drive. Learn more before making a purchasing decision between the Jeep Grand Cherokee and Dodge Durango!